Alhamdulillahi Rabbi 'l-`Alameen, wa ’s-salaatu wa ’s-salaamu `alaa ashrafi 'l-mursaleena Sayyidina wa Nabiyyina Muhammadin wa `alaa aalihi wa sahbihi ajma`een. “You want the best? I am giving you the best! Two sentences, two words that are very light on the tongue but very heavy on the Scale: SubhaanAllah wa bi-hamdihi subhaanAllahi ’l-`Azheem, astaghfirullah. If you say them you are saved!” So let's say it. SubhaanAllah wa bi-hamdihi subhaanAllahi ’l-`Azheem, astaghfirullah. That’s it, Allah will not deprive you from Paradise. He created Paradise for all of us. Everyone has their own seat, their own place there, but the gate to Paradise is these two words, SubhaanAllah wa bi-hamdihi subhaanAllahi ’l-`Azheem, astaghfirullah, praising and glorifying Him.  The best is to glorify Allah (swt) and all his life Prophet (s) taught the Sahaabah (r) to do that and also to say, “Laa ilaaha illa-Llah Muhammadun Rasoolullah.” (Everyone repeats.) On the Day of Judgement, Allah (swt) will put your `amal on the Scale, but before that He will place what you said of ‘SubhaanAllah wa bi-hamdihi subhaanAllahi ’l-`Azheem’ on the Scale and it will cover whatever is between Heavens and Earth. If you say it one time, it covers the whole Earth and whole Heavens. That is why Prophet (s) insisted on the Ummah to say, “SubhaanAllah wa bi-hamdihi subhaanAllahi ’l-`Azheem,” to make it a daily wird with istighfaar. Allah (swt) will judge His servants, like all of us who sinned a lot. No one can say they didn't sin except the Prophet (s) and all other prophets. Sayyidina Muhammad (s) is infallible, ma`soom. In his whole life he did not say, laa. If anyone asked him something he answered. The Prophet (s) never removed anyone from his presence or said “No!” to them; rather, he opened his arms. To say “Laa ilaaha illa-Llah” is Miftaah al-Jinaan, the Key to Paradise. So Allah gave us from one side two words to say every day, “SubhaanAllah wa bi-hamdihi subhaanAllahi ’l-`Azheem,” which is heavier than the Scale, heavier than Heavens and Earth and everything, and He gave us “Laa ilaaha illa-Llah,” the Key to Paradise. Whoever says ‘Laa ilaaha illa-Llah’ enters Paradise. Love of Allah is not the same as the love you have for your wife, children or family, that is something else. You can love them, but love of Allah is laa shareeka lahu, without partner. If you want to love Him you must show a special love through praying, worshipping, and upholding the Five Pillars: Shahadah, to say Ash-hadu an laa ilaaha illa-Llah wa ash-hadu anna Muhammadun Rasoolullah; establishing the five prayers; paying zakaat, fasting Ramadan and performing Hajj. These Five Pillars are the foundation that let you love the Prophet (s) and if you really love Allah, do them. How much you love Allah (swt) is shown by sincerity in your worship. For Allah to love you, He says, “Follow Muhammad (s), I gave him the Message. Follow his teachings, there is no other way. I gave you the Key of Paradise, Maqaam at-Tawheed, ‘Laa ilaaha illa-Llah Muhammadan Rasoolullah,’ and I gave you two words to fill the Scale, ‘SubhanAllah bi hamdihi subhanallah al-`azheem.’ What do you want better than this?” But despite this, Prophet (s) was always worried for the Ummah. Grandshaykh, may Allah bless his soul, narrated this story. “Allah can erase anything and He can do anything.” Once Sayyidina Abu Bakr as-Siddiq (r) was crying and the Prophet (s) asked him, “Why are you crying, Allah made you As-Siddiq.” Abu Bakr (r) said, “Yes, Allah called me Siddiq, yaa Rasoolullah, as you said.” That title, The Trustworthy, came from the Divine Presence to Sayyidina Abu Bakr as-Siddiq (r) as he accepted everything Prophet (s) said without any doubt; whatever the Prophet (s) said, he said, “Yes!” So we have to follow the way of Sayyidina Abu Bakr as-Siddiq (r) in his trustworthiness and also say “Yes!” to Shari`ah. He said, “Yaa Rasoolullah, if Allah wants to change me from Siddiq, can anyone say no?” This is for us to learn that Allah can change anything at any time! We are asking His forgiveness, if Allah forgives us we are safe. The Prophet (s) was always worried when Jibreel (a) came with Wahiyy. Sometimes he trembled, because he worried there might be some bad news for the Ummah.The Prophet (s) received two types of Wahiyy: one time he received the whole Holy Qur’an in one Revelation; the other was slowly over the twenty-three years of the Message. تعرض علي أعمال لكم فإن وجدت خيراً حمدت الله وما وجدت غير ذلك استغفرت لكم. Wa wada`na `anka wizrak, “He has taken your load from you, your sin,” and Prophet (s) doesn’t have sins so what is that ‘wizr’? It is as-sayyi`at and ma`siyya (sins) and the Prophet (s) is ma`soom, infallible, so ‘wizr’ refers to the wizr al-Ummah, the load of the Ummah that he is carrying. Allah (swt) is saying, “That load was so heavy on your back that you were unable to carry it, so We destroyed it!” That is why Ummat an-Nabi (s) is Ummatan Maghfoora, the Forgiven Ummah. Allah forgave them from the time of the Prophet (s); Allah (swt) took the heavy load off the back of the Prophet (s), who was sad and worried for us all his life, but we are not sad or worrying about our love for him (s)! That soul needs nourishment, which is worship. You will be given according to how much you worship. Like the body needs food, the soul needs worship. We are even eating our own flesh by following Shaytan! So Prophet (s) was sad that Allah was forgiving everyone except the zhaalim, and how many zhulaam are there? The people on high chairs, controlling everything in the world, are not the only zhulaam: we are also zhulaam to ourselves, our neighbors, our brothers and sisters, to our countries and even to our governments. We are meddling in everything. Leave that and spend time in worship! Don’t interfere, do your work and business, then worship and sleep nicely. When you run after dunya it runs away from you, but when you run towards Akhirah, dunya runs after you. The Prophet (s) said, “I am laughing and laughing (a laughter never ends) because I saw Iblees and when he heard that Allah (swt) has forgiven and granted the zhaalim to go to Paradise by my du`a, he became so upset and threw dirt on himself and his army! I am laughing at Iblees the Cursed One because he is running after my Ummah, but Allah (swt) forgave them and instead put their sayyi`at on him!” After that event, Prophet (s) was so happy on the day of Arafah. He (s) is caring for us, but what are we caring for? Prophet (s) is caring for us, what are we giving in return? He is giving us everything! At least we should show him love. If you love someone, what do you do? You mention his name and follow him, then he will guide you. That is why shuyookh are important in our lives. The Sahaabah (r) were Companions of the Prophet (s) and after them the Imams came and learned from Taabi`een or Taabi al-Taabi`een, and they went on to form the Madhaahib. If your son is with you, you come here and leave at night, would you leave your son on the street and tell him, “Go find your way,” or would you take him by his hand? Shuyookh take us with them through their knowledge and Shari`ah they learned, and guide us the love of Prophet (s), as Allah (swt) said, in kuntum tuhiboon Allah fatabi`oonee yuhbibkumullah, if you follow Muhammad (s), Allah will love you. When Allah loves you it is Noorun `ala Noor. The whole Message is, “To be loved by Allah you have to follow Muhammad (s).” Then you will be loved by Prophet (s) and he will take you to the Door of Allah for maghfirah, Allah's Forgiveness. May Allah (swt) forgive us! If you commit a sin you go to the father and ask him for forgiveness. Who is our father, where does the Ummah have to go? The words of the Qur’an are naatiqee, alive, and letters, words and aayaat can speak. There is no doubt among `ulama on this issue: from azal to `abad (forever), the Qur'an is Kalaamullah. So when Allah says in the Holy Qur’an, “When they are oppressors to themselves and come with istighfaar,” where do they go? قال رسول الله ص حياتي خير لكم تحدثون ويحدث لكم ومماتي خير لكم تعرض علي أعمال لكم فإن وجدت خيراً حمدت الله وما وجدت غير ذلك استغفرت لكم. “My death is better for you than my life, because I observe what you are doing, I have the power to change everything. If I see good I thank Allah, if I see bad I make istighfaar on your behalf.” This means as soon as you intend to do istighfaar, the Prophet (s) has already made istighfaar on your behalf! And jaa’ooka, “They go to you,” is this khitaab, advice only for the Sahaabah (r) or for the whole Ummah? It is for the whole Ummah until the Day of Judgement, which is why we have to keep sincerity and piety when we make istighfaar, and know we are in the Holy Presence of Prophet (s) who is in the Divine Presence. That’s where your istighfaar will be sent, jaa’ooka f ’astaghfaroo ’Llah, “They come to you; they make istighfaar.” Yaa Rabbee, yaa Allah! We are coming to your Prophet (s) as You mentioned in the Holy Qur’an about the Sahaabah (r) asking istighfaar in front of him for what they had done, we are asking istighfaar in the presence of Prophet (s)! So what will Prophet (s) do? Istighfaar an-Nabi (s) is confirmed: w ’astaghfara lahumu ‘r-rasoolu la-wajadoo ’Llaaha tawwaaba ‘r-raheema “They will find Allah (swt) The Forgiver and The Merciful.” If we read 4:64 and stop at la-wajadoo ’Llaaha, “They will find Allah”, that means you will dive in the Ocean of M`arifatullah. When you intend to make istighfaar, you will be taken by angels to the presence of Prophet (s) and won’t see it because you are veiled there, but you must know he is waiting, and when he does istighfaar for you, then you will be able to enter the Ocean of M`arifatullah! And when you find Allah you begin to struggle more, why? Because you want more m`arifah and love in order for more veils to be lifted. When Imam Shafi`ee (q) wanted to enter the prayer, he concentrated--as we must--with his entire body, organs, five senses and heart to read al-Fatihah. If you do this with sincerity and focus all the cells of your body to say istighfaar, it will bring you to reflect on the takbeer when you enter the prayer, and that comes with M`arifatullah. Sometimes we make istighfaar without sincerity, not focusing, while watching TV, etc., which is still accepted and rewarded, but with sincerity it takes you to the Ocean of Ma`rifah. When you reach there you begin to want more so you increase istighfaar, then Allah will open veil after veil until you reach the station of Sayyidina Bayazid al-Bistami (q), where he said, “O Allah, open Your Door for me!” That is from al-`ishqun lillaahi, yearning for Allah's Love. Everyone yearns for Allah’s Love, but some people yearn more with sincerity. What I fear most for my ummah is hidden shirk. “The thing I fear most for my Ummah is hidden shirk,” meaning sometimes the nafs takes control, desiring to be glorified, and then we follow its desire and sin. So Sayyidina Abu Yazid (q) was struggling and Allah opened for him until he heard a voice in his heart saying, “Leave your nafs and come to Me.” May Allah also open our hearts and forgive us and bless us! Wa min Allah at-tawfeeq bi hurmati 'l-Fatihah. We are falling into the hands of Shaytan, listening to him and not listening to Allah, but alhamdulillah we are from Ummat an-Nabi (s), so there is a way to waive these sins through istighfaar and by reciting, SubhaanAllah wa bi-hamdihi subhaanAllahi ’l-`Azheem, astaghfirullah.” Allah gave us these two words that are very light on the tongue but very heavy on the Scale. They make your good `amal very heavy and your bad `amal to disappear, so say it day and night inshaa-Allah! At least in this association on the night of Friday, we learned if we say, “SubhaanAllah wa bi-hamdihi subhaanAllahi 'l-`Azheem” it will save us on Judgment Day and from difficulties in dunya, and when Sayyidina Malak al-Mawt (a) comes to take our soul, he will take it the easy way. May Allah forgive and bless us, may Allah support us and keep us with the love of our Prophet (s) and the love of our shuyookh.